A Dallas golf course, celebrating its 100th year in business, is in need of a lot of repair work following Wednesday evening's hail storm. The Lakewood Country Club sustained significant damage to all of the greens on the 18-hole course, according to a representative of the grounds crew. On Thursday, members of the grounds crew were out on hands and knees, repairing the greens as best they could. 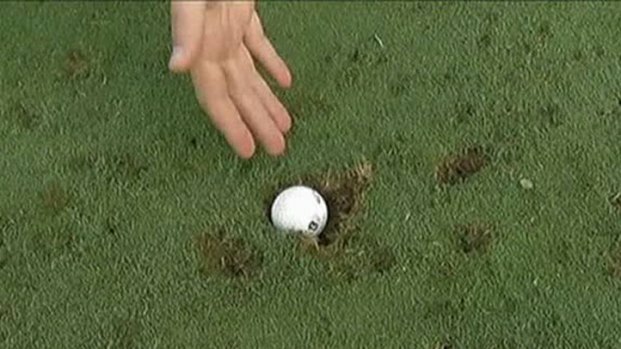 The 2012 Texas Amateur Golf Tournament is on hold after Wednesday's hail storm damaged the golf course. 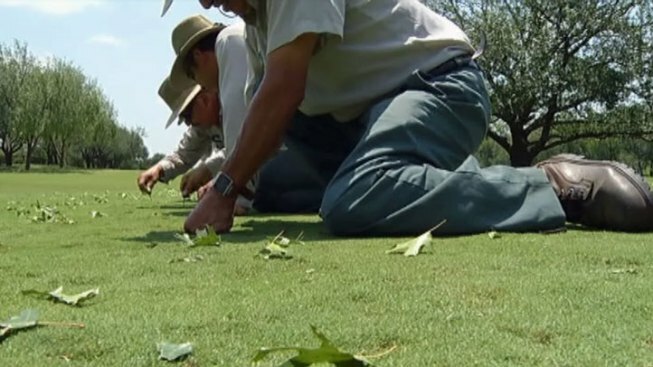 NBC 5 was there to see both the 12th and 15th greens pockmarked with what appeared to be thousands of divots of varying sizes. Plummer said the course does not have an exact estimate of damages yet, but were working with insurance adjustors this afternoon. The damage could not have come at a worse time for Lakewood. The course is set to host the 2012 Texas Amateur golf tournament, originally scheduled for June 14-17. Late Thursday, NBC 5 learned the amateur golf tournament was changing venues. The tournament will now be held at the Honors Golf Club of Dallas located at 2525 Country Club Drive, in Carrollton.Round 1 will begin on Friday after a shotgun practice round Thursday afternoon. Lakewood expects its course to be closed through the weekend, at the very least.